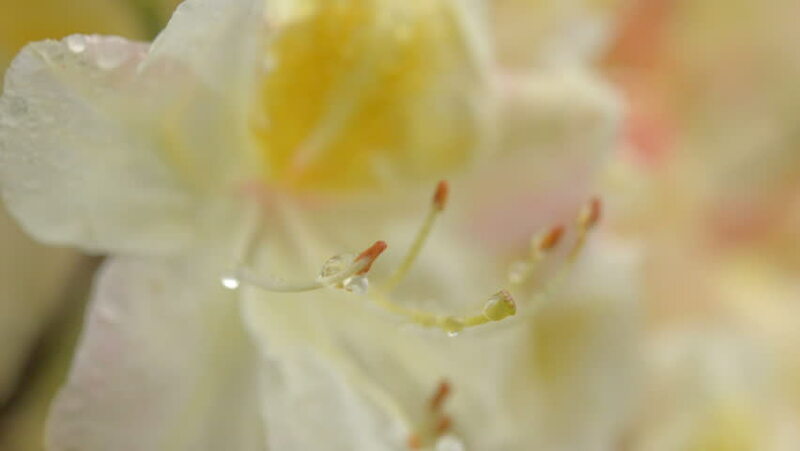 Extreme close-up of blooming yellow flowers of azalea in a garden. Flowers of popular garden bush after rain, drops of rain. Camera locked down. Full HD close up - 1080p. 4k00:12Closeup handheld shot of an organic unripe bunch of grapes in backlit in a vineyard at sunset or sunrise with lens flare and the sun through the leaves. Spring or summer. hd00:10Fresh morning dew and rain droplets on wild long grass deep in the British Countryside.